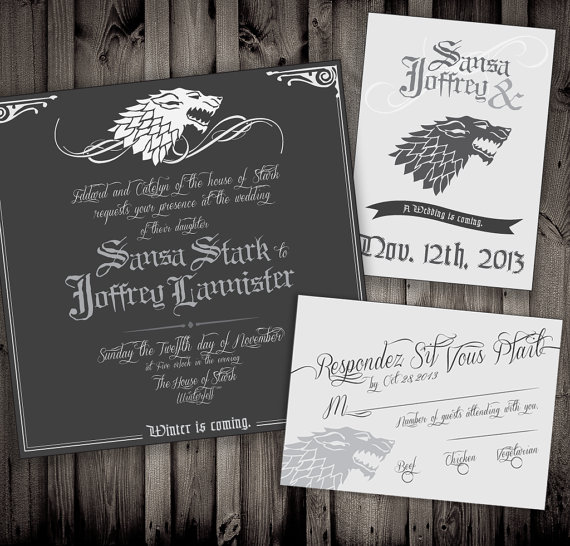 You probably don’t want your wedding to be much like a Dothraki affair…or like that other infamous wedding. But that doesn’t mean you can’t go all out. So you can’t pull a Sean Parker? 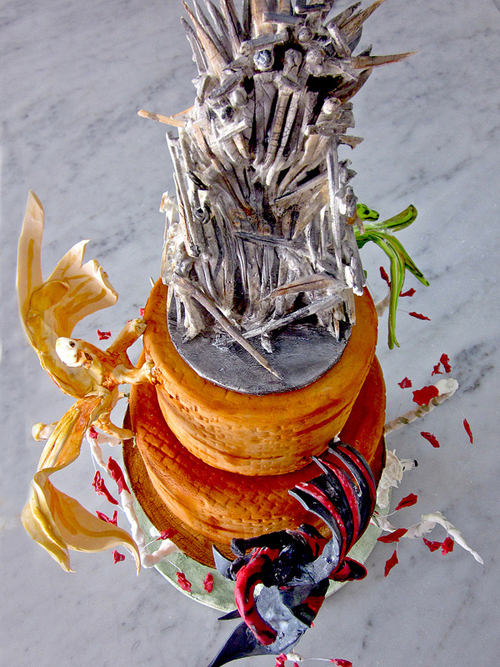 This tech startup billionaire’s Game of Thrones wedding is going to cost, like, over $9 million. I am not kidding. Here’s some inspiration from Nimbi Design. 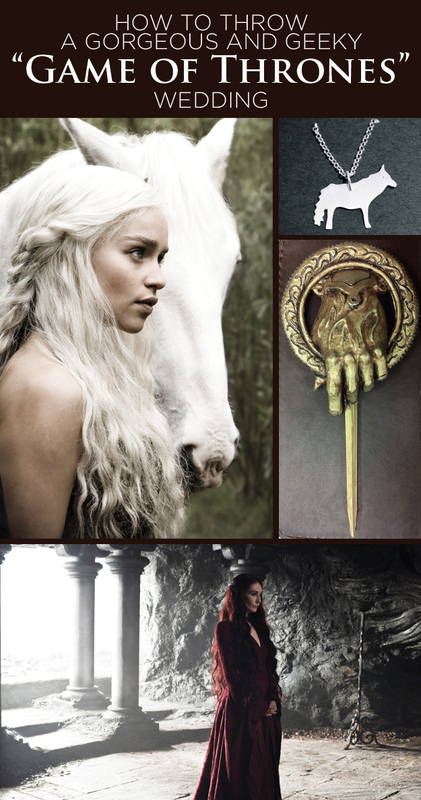 Rumor has it she makes a House Targaryen version, too. Become a real Lord or Lady. 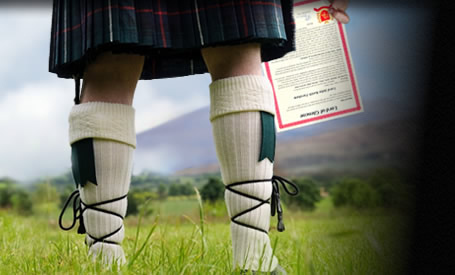 You can buy one square foot of land in Scotland. But that way, when people joke about it at the wedding, you can show them the certificate. Or something. This will obviously depend on where you live. But the forest’s almost definitely cheaper than a castle. Which would also be cool. This picture’s from a wedding in Sweden. Make the best man the hand of the king with a fancy boutonniere. By Project Custom on Etsy. 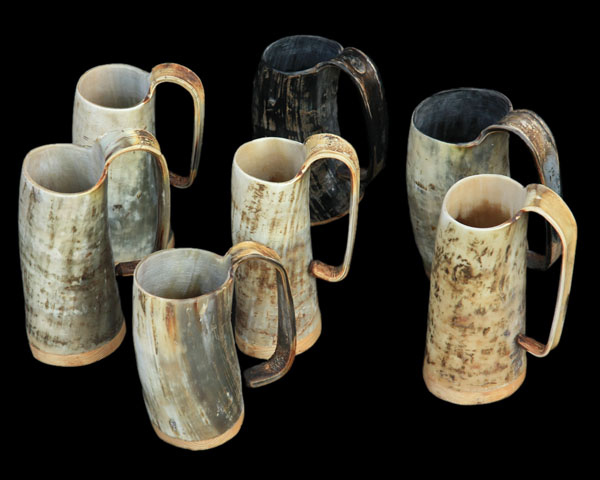 …in badass horn mugs, like they have at the wall. Made by the same company that supplied the mugs for the show, The Jelling Dragon. Although they’ll hit your wallet hard at $49.41 each. 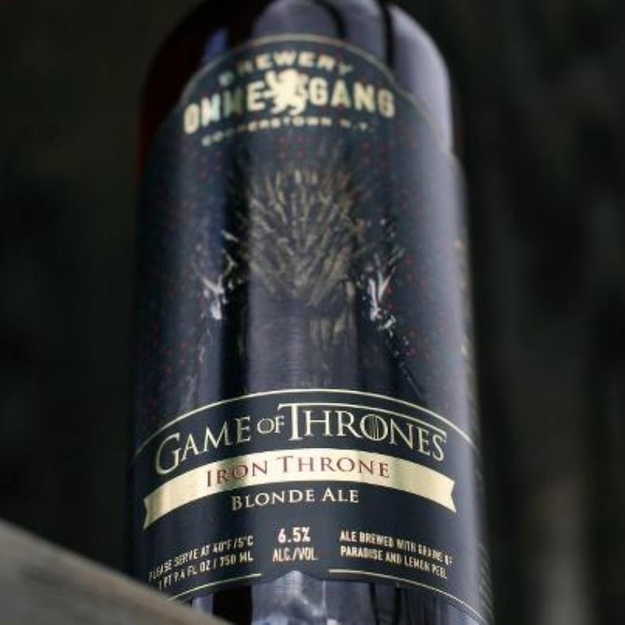 Dress your bridesmaids up like ladies of Qarth. 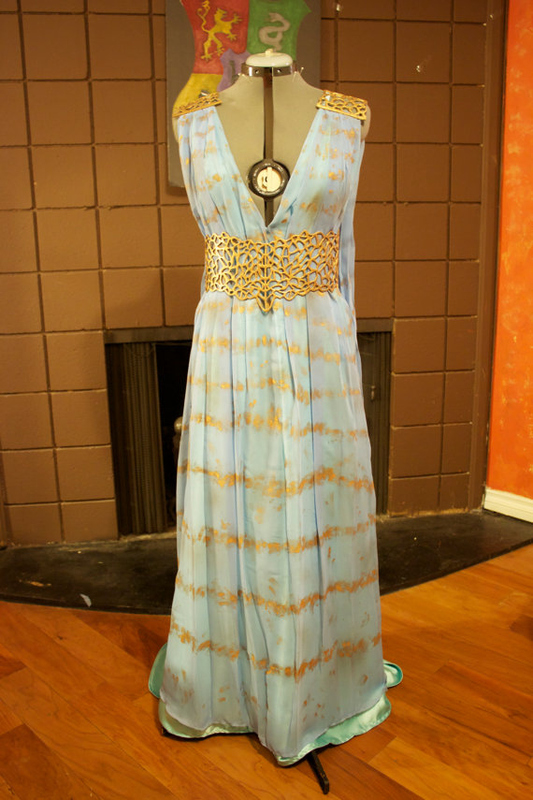 Jessie Lyn Thompson sells these awesome dress replicas. 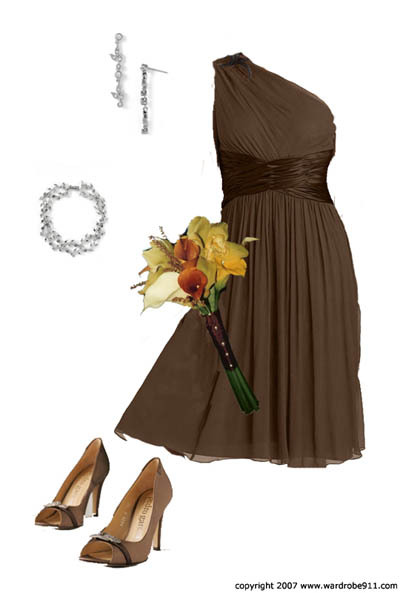 Or go for a less costume-y but still flowy dress. 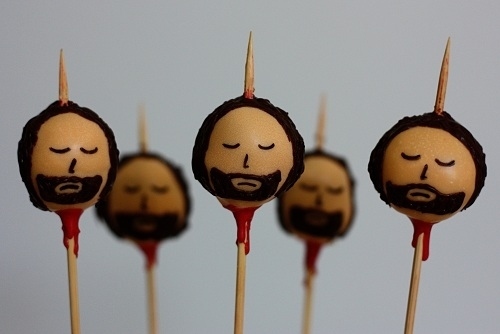 If you’re feeling up to it, serve Ned head cake pops. Okay, so it’s a little grim for a wedding. But you can’t have GoT without something being at least a little bloody. Not Your Momma’s Cookie has a recipe. 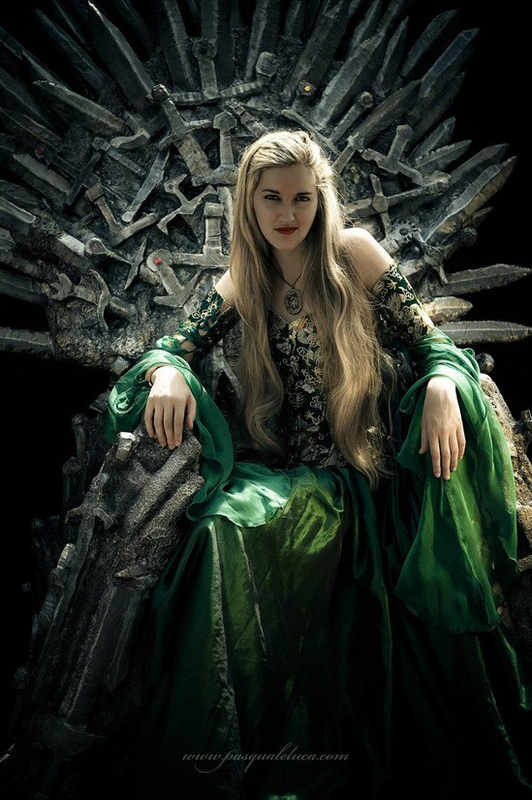 Go all out with a Cersei Lannister-inspired corset gown. These are custom made by Romantic Threads. 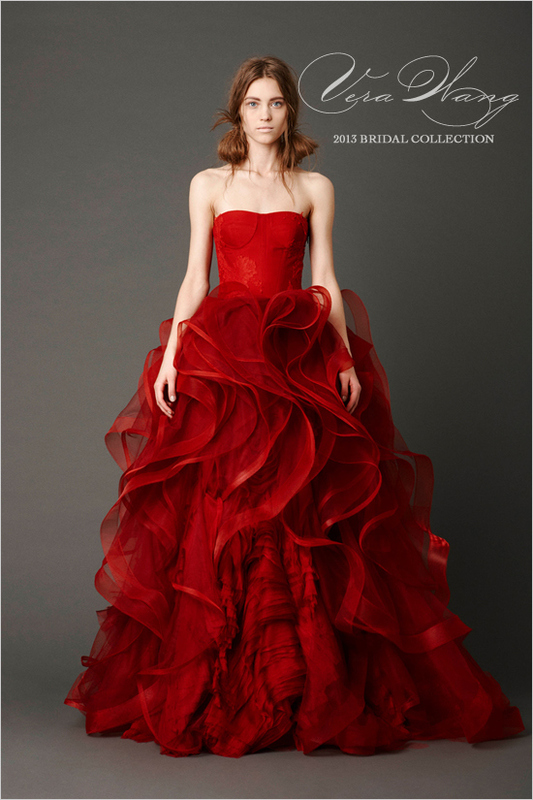 Or have a red wedding in one of Vera Wang’s spring gowns. Available at your favorite bridal salon, but you can see them all here. Braid your hair like your favorite Khaleesi. You’ll probably want to have someone who’s really good at doing your hair, like your mom, help you out. 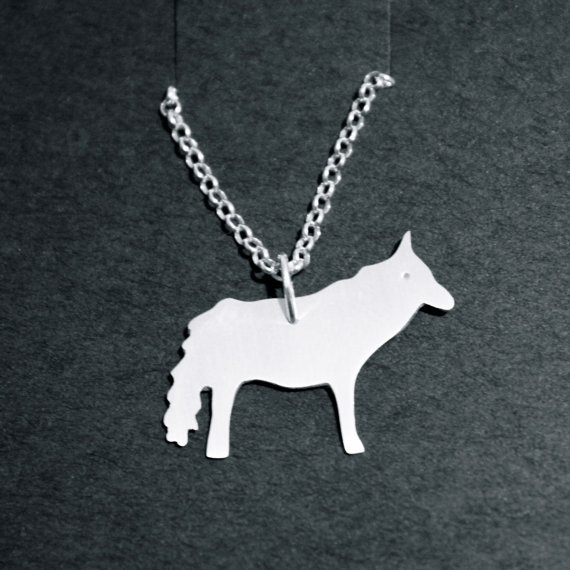 Give your bridesmaids quotable necklaces. 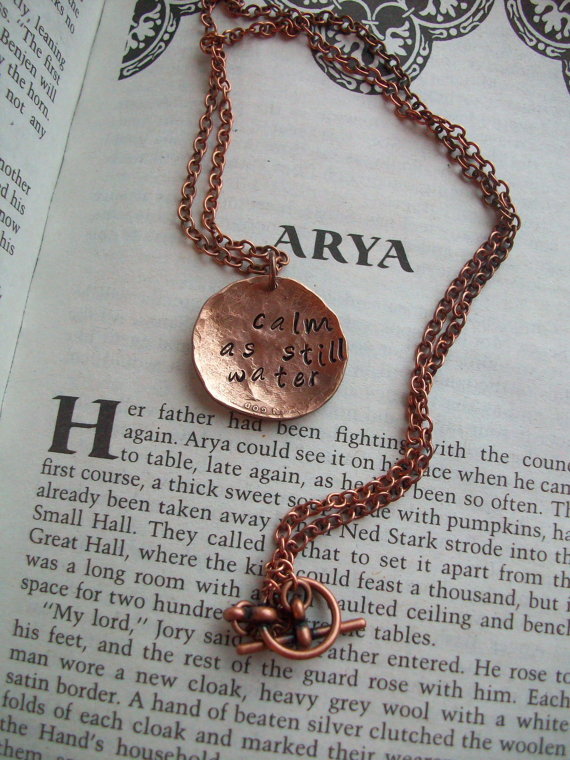 Admit it: you love Arya. Available from Christy on Etsy. Let all of that pretty wilderness inspire your centerpieces. I also like the idea of using Houses instead of table numbers, and basing your centerpieces on those — but the internet has not provided, not this day. 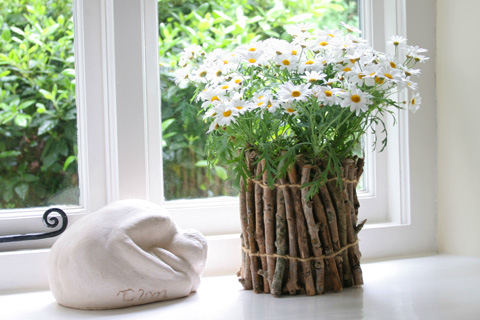 This DIY twig vase via NiniMakes. 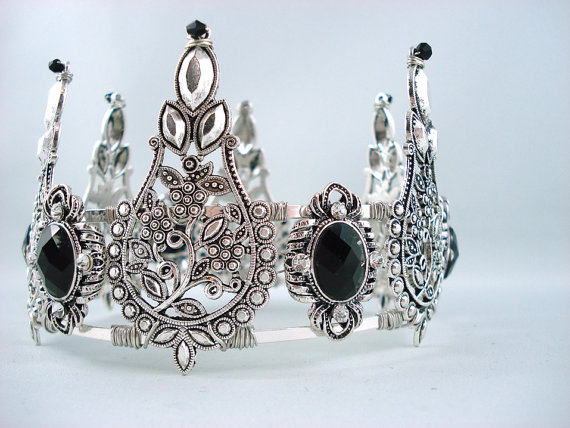 You can’t forget the crown. 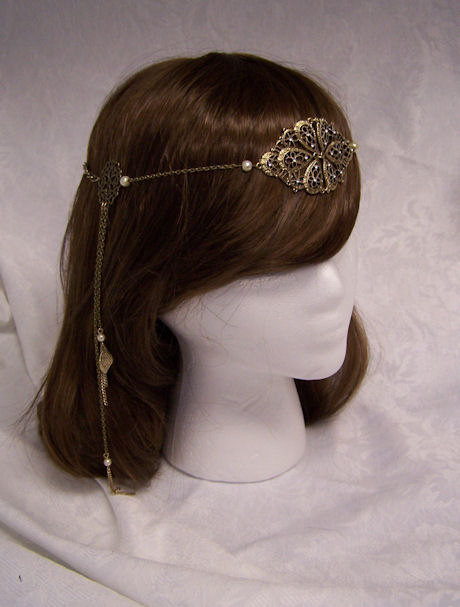 When you’re in Westeros, you just don’t call them “tiaras.” This one’s available for custom order from Josie on Etsy. …although it would be okay to go slightly more understated. 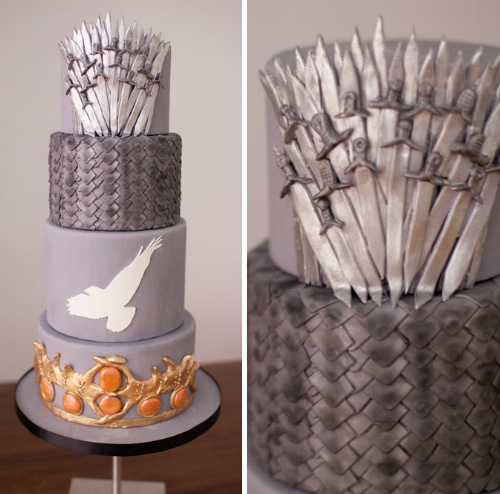 And finally, consult with your baker to make an epic GoT cake. 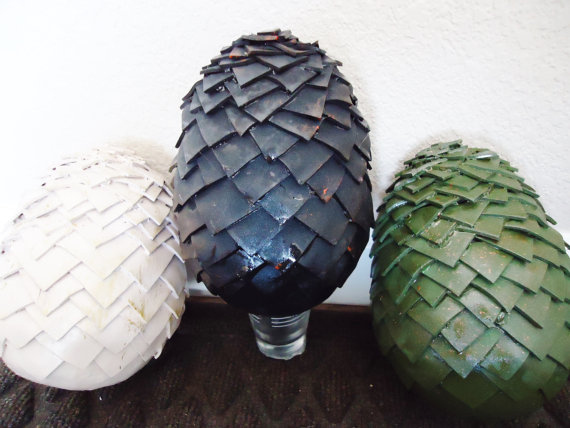 Top your cake with dragon eggs. 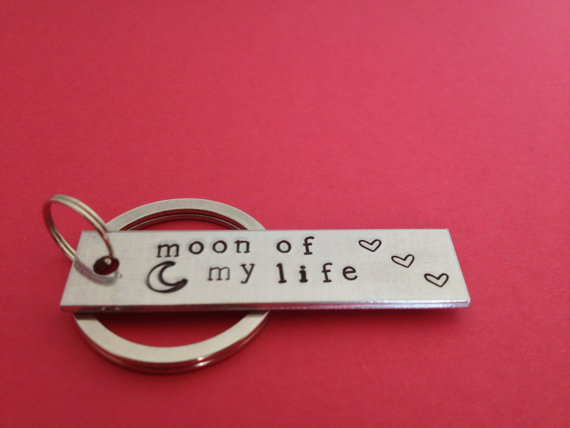 You can request them from Gina M. on Etsy. 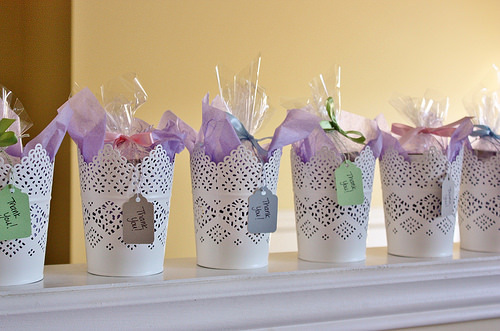 Send everyone on their way with favors to commemorate your love.